When you're suffering from severe heartburn and/or acid reflux, choosing the right home treatments and relief remedies is extremely crucial. While some work exceptionally well and are quick-relieving, others can actually make these conditions worse. 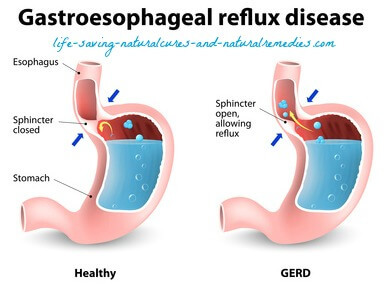 Acid reflux or GERD (gastroesophageal reflux disease) is now one of the most common health complaints doctors and pharmacists are asked to deal with (especially in pregnant women). In fact, close to half of all Americans are affected by acid reflux at some point - many of them severely. The worst symptom and side effect of GERD is heartburn. This condition produces a painful burning sensation behind the breast bone that can be mistakenly interpreted as a heart attack. If you’ve ever had a severe case of acid reflux and heartburn, you’ll know just how painful it can be. Usually it will attack while you’re sleeping (or trying to sleep) and can have you reaching for virtually anything you can get your hands on that might help to alleviate the terrible symptoms! Heartburn also increases your risk of developing esophageal cancer quite significantly, so if you regularly suffer from this condition then you definitely need to fix this problem A.S.A.P. What Causes Acid Reflux (GERD) and Heartburn? When you eat your food (and swallow it) it goes down through a long tube called your esophagus and ends up in your stomach. A small valve called the lower esophageal sphincter closes, which then stops any food or acid from being able to move back up the esophagus. The problem is, when this valve doesn’t relax and close properly it allows stomach acid to flow (reflux) back up your swallow pipe. When you get “heartburn” this is simply the stomach acid eating away at the ling of your esophagus! But contrary to what the medical profession believe (and try to tell you), acid reflux is not caused by excessive acid production in your stomach. In fact, it’s usually caused from not having enough stomach acid and an unpleasant little bug called Helicobacter pylori (H. pylori). Nobel Prize winner, Dr. Barry Marshall from Australia, was able to conclusively prove that Helicobacter pylori causes stomach ulcers and is a major cause of GERD. You can also have severe acid reflux and heartburn if you're suffering from a hiatal hernia (you can read more about hiatal hernia's here). The most common drugs used by the medical profession to treat GERD are proton pump inhibitors (PPI’s). And yes, these pharmaceuticals do help to stop acid production in the stomach and relieve the symptoms of acid reflux. But the problem is if you want to fix your acid reflux for good you actually need MORE stomach acid, not less! The other problem is without enough stomach acid your body cannot digest the food and nutrients it needs so you end up with more brutal and dangerous health problems such as chronic fatigue syndrome, leaky gut and severe viral infections. The side effects of these drugs are not pretty either… pneumonia, bone loss, hip fractures, and the high chance of infection from a harmful intestinal bacteria called Clostridium difficile. So although using these medications can help in the short term, long term they can turn out to be a disaster! 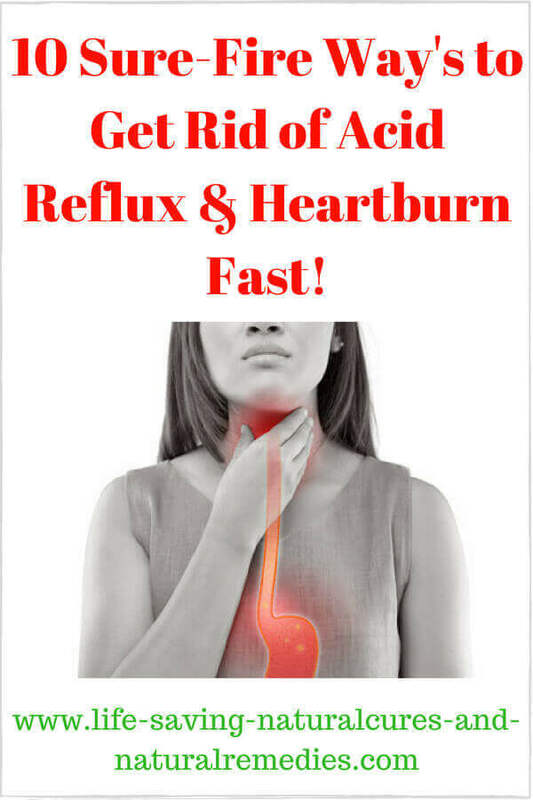 Using natural and home remedies for acid reflux and GERD really do work amazingly well. And the biggest benefit is they don’t just treat the symptoms and give you a bit of temporary relief like pharmaceuticals do, they also treat the underlying cause. So this means you'll not only get some immediate and sustained relief, you'll also end up permanently cured of your acid reflux within a few short months (as long as you continue to follow the recommendations of course). These natural remedies are also completely safe for pregnant women and children (including toddlers) as well. This might sound a bit outlandish to you at the moment, but we promise that if you follow our directions to the letter, GERD and heartburn will definitely be a thing of the past for you. You'll also find yourself with more energy than you’ve had in a very long time and you'll be a lot healthier than you’ve been in a very long time as well. The reason for this is your digestive system will be working properly, and this will allow your body to be able to fully absorb the nutrients it so desperately needs right now. It will also allow your immune system to rebuild and recharge itself back up to its maximum level. So get ready to enjoy these positive health benefits as well! There are basically 3 types of home remedies for acid reflux… One’s that give fast (instant) relief from your GERD symptoms, ones that give long term (permanent) relief, and ones that do a combination of both. We'll be listing all of these, beginning with the natural remedies and treatments that will give you long and permanent relief, followed by the remedies you can use for some quick relief from your acid reflux and heartburn if you’re having an attack right now. We will also let you know which remedies do a combination of both so you can make sure you integrate them in your daily routine first. So enough of the chatter. Let’s get started shall we and finally get rid of your GERD and heartburn for good! There is no way in the world you can effectively treat and heal GERD and heartburn permanently without probiotics. These beneficial bacteria are absolutely crucial to the health and correct functioning of your entire digestive system, from your gut all the way down to your waste disposal. When you have enough “friendly” bacteria in your stomach and colon, the bad bacteria (and there can be lots of them) are unable to take up residence and wreak havoc on your insides. This also allows food and nutrients to be digested correctly and efficiently - and the main cause of acid reflux and heartburn (the Helicobacter pylori bacteria) will also be sent packing by the beneficial bacteria! If you aren’t taking a high quality probiotic supplement every day and regularly eating fermented foods then you'll definitely be deficient in good bacteria (regular acid reflux in the stomach and throat is a sure sign of this). The other problem is if you’re taking any type(s) of medication, this will also have a negative impact on the beneficial bacteria as many pharmaceuticals harm the good bacteria in your gut. Consuming sugar and fried foods also kill off the good bacteria and allow the bad bacteria to grow and thrive, but we’ll talk more about this problem in a minute. It's also important to note that probiotics are extremely safe, and in fact, absolutely essential for all pregnant and lactating women - as well as infants, toddlers and teenagers! So the first thing you need to do to treat your acid reflux and heartburn is to take a good quality probiotic supplement every day. You can easily purchase these online or from any reputable health food store. Remember to always keep them in a cool place, and for dosages, follow the directions on the bottle or container. The second thing you need to do is either start fermenting your own foods or go out and buy pre-made fermented foods and products. Of course, it’s much cheaper (and much more fun) to ferment your own foods. And the great thing is, it’s not that hard to do and they taste really delicious! We’re a big fan of “Cultures for Health” and they have some terrific articles and give you all the information you need on how to ferment your foods for a healthy gut. Make sure you take the time to check out their website here… culturesforhealth.com. Apple cider vinegar (ACV) is one of our favourite “cure all” remedies. And as an effective remedy for acid reflux, it works a treat! The beauty of using ACV to treat heartburn and GERD is it not only gives you quick relief, it also gives long term relief. ACV is also completely safe to use if you're pregnant or breast feeding. What apple cider vinegar does is improve and build up the acid content in your gut by stimulating stomach acid production (this is a good thing, too by the way). ACV also helps to promote the growth of beneficial bacteria (lactobacillus), which you now know is crucial for treating and curing GERD and heartburn. It contains the essential vitamins, minerals and amino acids our bodies need every day, especially one of the most important minerals we need for overall good health... potassium. In addition, apple cider vinegar boosts the immune system and helps protect us from viral infections. So as the saying goes… An apple a day really does keep the doctor away! The most effective way to take apple cider vinegar is by using a combination of the liquid and the capsules. With the liquid, mix two tablespoons of filtered water with one teaspoon of ACV and drink 5-10 minutes before each meal. Before swallowing though, hold and swish the mixture in your mouth for five to ten seconds first to promote saliva production. This helps to digest food in the mouth when you eat and also promotes stomach acid production. It also kicks the gastric juices into gear so they start flowing faster and more efficiently, resulting in improved digestion and assimilation of your food and nutrients. Now, when you purchase your apple cider vinegar it’s crucial that you buy the correct type. There are plenty of commercial brands of processed vinegar's and apple cider vinegar's on the market and most are rubbish. The only type of ACV you should ever buy is the raw, organic unfiltered ACV with the “mother” apple (very important). Most of the capsule supplements on the market are okay, but the liquid versions are definitely not so be sure to check them beforehand. Amazon is one reliable and trustworthy supplier. You can find their ACV supplements here if you're interested. Wheat grass, barley grass, chlorella and spirulina are all potent remedies for heartburn and GERD. And unlike pharmaceuticals, they come with no side effects or adverse reactions. They're also 100% safe for pregnant women and children to have. These amazing green foods all contain live digestive enzymes, which are vital for stomach acid production and the assimilation of food and nutrients. The other big benefit of these foods is they make a perfect food source for the beneficial bacteria to feed off (prebiotic). So having one of these green foods with your probiotic supplement every day is an excellent way to enhance the effectiveness of the probiotics and multiply their benefits a thousand fold! Wheat grass, barley grass, chlorella and spirulina also contain some very potent antioxidants and chlorophyll (the green pigment in plants). Chlorophyll contains many important nutrients and is a strong gut soother and mucosal lining healer. Severe acid reflux and heartburn can damage the wall and lining of the stomach and esophagus (and cause cancer and other serious health problems) so supplementing with these “live” foods is crucial for the protection and healing of these vital organs. Where Do You Find These Foods? You only need to take one of these green foods daily so we recommend you go with the one that’s most affordable and easiest to take. Once again, you can purchase any of them online or from any good health food outlet in either capsule or powdered form. For acid reflux and heartburn sufferers, they're best taken with food or immediately after eating. Also try and go for the dehydrated varieties over the juiced varieties if you can as these contain more natural plant fibers (which are good for your digestive system). For dosages, follow the directions on the bottle. 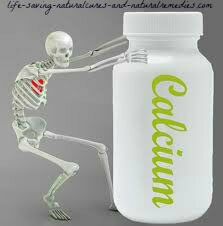 Calcium is a popular remedy for heartburn and GERD. In fact, it’s the active ingredient in most over-the-counter antacids. Your body needs calcium to maintain its correct acid/alkaline balance (pH) and without it your digestive system doesn’t work properly - so end up with poor digestion and the subsequent problems that accompany this, namely, acid reflux and heartburn. Magnesium, boron and vitamin D are all needed for the proper absorption of calcium. According to Dr. Joseph Mercola, vitamin D is especially significant because it helps with the production of antimicrobial peptides. So this means when your vitamin D levels are at their peak any unwanted infections and viruses are quickly eliminated from the body. This is extra important for people who suffer with GERD and heartburn as infections can be rife in these people. Boron (Borax) is also critically important for killing off the bad bacteria in the gut and allowing the good bacteria to thrive. We strongly suggest you take the time to read this powerful article on the incredible health and healing benefits of boron and Borax… The Borax Conspiracy Revealed. For calcium, you simply can’t go past coral calcium supplements. These foods supply a highly absorbable amount of calcium and magnesium at the perfect ratio of 50:1. However, you will still need to take extra magnesium to get the required amount. You can do this by either using a transdermal magnesium spray or taking a terrific product called NaturalCalm with added calcium. For vitamin D, get out in the sun every day for 30-40 minutes and make sure your face (and eyes) and the back of your hands get the most sun exposure. If you're unable to get enough sun exposure every day then you will need to take vitamin D3 supplements (you need a minimum of 3000 IU a day). For boron, don’t do anything until you read "The Borax Conspiracy" article first, then be sure to follow the advice on using the Borax to the letter for maximum benefit. Coconut oil is a powerful bacterial and fungal destroyer. The biggest benefit for heartburn and GERD sufferers, however, is the fact that it fills you up, so you naturally eat less. One of the most common problems of people who suffer from acid reflux and heartburn is they simply eat too much food. And the bigger your meals are the more chance you have of improper digestion (indigestion) because your stomach acid simply can’t break down all of the food you’ve eaten quickly enough. The result of this “indigestion” is of course acid reflux in the throat and heartburn. But coconut oil fills you up faster and having it with your meals has been proven in studies to make you eat less. This is another reason why it’s so good for weight loss. Coconut oil also contains MCT’s (medium chain triglycerides) which are easily digestible and provide lots of health benefits - the most noticeable being a considerable increase in energy. So be sure to go out and purchase some raw organic, extra virgin coconut oil and have a tablespoon with your meal or mixed in a smoothie (half the amount for children). And make sure you use it in your cooking as much as you possibly can as well! Hydrochloric acid is naturally produced by the cells of the stomach and is one of the substances that helps to break food down. Most acid reflux and heartburn sufferers have low hydrochloric acid production so taking a betaine hydrochloric acid supplement is a good idea. The other benefit of taking betaine is it also helps to kill the H. pylori bacteria in the gut. You can buy betaine hydrochloric acid supplements from most health food stores or online. For dosages, simply follow the directions on the bottle. A recent study showed that astaxanthin was far more effective at alleviating the symptoms of GERD and heartburn than a placebo. And it was found to be especially beneficial for those with advanced helicobacter pylori infection! You can also purchase this powerful antioxidant from most health food stores or online. According to study organizers, the best daily dose of astaxanthin is around 40 mg’s (which is quite high) but many people report great results from as little as 8-10 mg’s a day. What you eat has a definite impact on how bad you get an acid reflux and heartburn attack - or whether you even get one at all. This one is really simple… any food that comes from nature is going to help and any food that's been contaminated by man is going to make your GERD much worse. If you go out and eat spicy Mexican or KFC for dinner then don’t be surprized if a few hours later your stomach and chest feel like you’ve just drank ten litres of sulphuric acid! It’s not rocket science really. So all refined and processed foods, especially all fried foods, fatty foods and takeaway foods must be eliminated from your diet, at least until you get your acid reflux and heartburn under control. Once you do then the occasional “splurge” every now and then is okay (you still have to live). As for the foods that will help to ease and stop acid reflux and heartburn… fruits (except citrus fruits) and veggies should be your number one choice. For instance, eating an apple when you get a GERD attack is an excellent way to quickly treat the problem. Raw almonds are also a great remedy for acid reflux and should be eaten as much as possible. 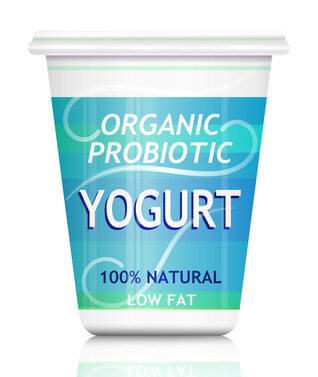 And of course, eating plenty of fermented foods including fermented vegetables, chutney’s, and cultured dairy such as natural yoghurt, kefir and sour cream will all help to replenish the good bacteria in your digestive system. It’s also a good idea to splash an extra tablespoon of apple cider vinegar on your salads as well for additional benefit (along with drinking the ACV juice of course). Himalayan pink rock salt contains over 80 essential trace minerals our bodies need every day for optimum health and longevity. It’s also rich in chloride, which the body uses to make stomach acid. So you can literally go nuts with this one and use it in your cooking as much as you want and to salt your food to taste (and no it doesn’t raise your blood pressure. Read our “salt and high blood pressure” article for more information on this). Consuming alcohol, especially red wine, along with carbonated drinks and caffeine will definitely make your GERD and heartburn worse. I know it sounds boring but good old fashioned water is a much better alternative. Smoking is also known to exacerbate acid reflux so this practice is best kept to a minimum (or preferably eliminated altogether). 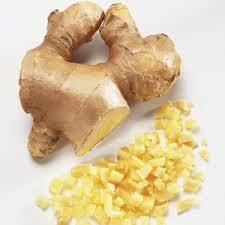 Ginger has been used and valued since ancient times for its powerful healing effect on gastric disorders. It’s known to help destroy the H. pylori bacteria and calm stomach acid. Lemongrass also helps the body to balance out its acid levels. Make up a ginger and lemongrass tea by adding 2-3 slices of ginger root and a teaspoon of finely chopped lemongrass or lemongrass tea leaves to 2 cups of boiled water. Leave for 30 minutes before straining and slowly sipping. Drink one cup of this delicious tea 20-30 minutes before each meal, particularly prior to breakfast. This remedy is especially good if you're pregnant and suffering from acid reflux and heartburn. Aloe vera juice helps to relieve inflammation. Because the stomach and esophagus can become inflamed from severe acid reflux and heartburn, aloe vera juice can help to soothe and relieve the symptoms. Half a cup of the juice before or during meals is recommended. For pregnant women with acid reflux, aloe vera is a God send! Studies have shown that losing just 10% of your body fat can improve your digestion and make a big difference to your acid reflux symptoms. And light, moderate exercise helps to improve digestion and boost your immune system so your body can fight off infection and disease. Exercise also makes you feel better and less stressed because your brain releases powerful mood stimulating chemicals called endorphins while you're training. So make sure you find 30 minutes a day! Two studies have been done so far where they limited the amount of certain complex carbohydrates from GERD and heartburn sufferer’s diets to see if this made any measurable difference. In both studies, the difference was striking. All participants reported substantial relief from their acid reflux symptoms by doing nothing more than limiting the amount of complex carbohydrates (disaccharides and polysacharides) from their diet. The theory is that these carbs feed the bad bacteria in the stomach (including H. pylori) so by eliminating them you allow the good bacteria to grow and thrive. Grains (except oatmeal) and starchy vegetables are the ones to avoid while fruits and non-starchy vegetables are okay to be eaten (these are monosacharides). The idea is that you eliminate these carbs from your diet only until you get your GERD and heartburn under control, then you begin to slowly re-introduce them. Following a low carb diet for an extended period of time is not considered healthy, nor is it recommended. It’s much easier on your body and digestive system if you eat 5-6 small meals a day rather than 3 large meals. Smaller meals are easily digested and don’t give you GERD and heartburn, whereas larger meals do the exact opposite. Also try and eat your food slowly and chew it completely before swallowing instead of shovelling it down! Baking soda neutralizes stomach acid almost immediately. It also spikes your body’s pH level and helps with digestion. Mix a teaspoon of sodium bicarbonate in a glass of filtered water and drink straight down for rapid relief from your GERD and heartburn. We also recommend taking this concoction 3 times per week (i.e. Monday, Wednesday, Friday) for a month on month off cycle to keep your pH level elevated and keep your acid reflux and heartburn away! Pickle juice works a treat as a quick home remedy for heartburn and GERD (pregnant women usually find this treatment especially effective). It acts in a similar way to apple cider vinegar and baking soda by calming stomach acid. So if you have some pickle juice in your fridge, get it into you right now! Usually with these particular remedies, one will work for one person but not the other or vice versa. So you'll need to try out all four if you decide to give them a go. A teaspoon (or more) straight on the tongue of each and washed down with a little water will usually do the trick. Eating oatmeal for breakfast or as a snack is actually recommended in The Reflux Diet and is especially great for kids. It helps to fill you up and also absorbs acid. Have a bowl with some sliced banana (banana is also excellent for GERD and heartburn) with almond milk for a powerhouse preventative and quick treatment for your acid reflux and heartburn. Processed milk is toxic gunk that should definitely not be drunk by any human being (or animal for that matter). It sticks to the lining of the gut and causes all sorts of health problems. However, milk straight from a cow is actually good for you and will relieve GERD and heartburn symptoms very quickly. If you have access to raw milk then by all means drink it. Some health food outlets actually sell raw milk and advertize it as “bath milk” for bathing (they have to do this by law), but most people buy it to drink (and its common knowledge that you buy it to drink and not to actually “bathe in”). So a glass of raw milk every day or whenever you get a GERD or heartburn attack is an excellent remedy for acid reflux in the throat. Of course, this one is completely safe for pregnant and lactating women, along with children and even toddlers. These treatments for acid reflux and heartburn definitely give relief. By lying on your left side, acid is not able to travel back up your esophagus. And elevating the head of your bed also helps to stop gastric acid from travelling back up the esophagus. So try both of these remedies if you have a really bad GERD attack during the night. You’ll be pleasantly surprized by the relief you get. Sauerkraut and Sauerkraut juice was first made famous by the Joanna Budwig Diet. She recommends you drink a glass every morning for overall good health. And she’s right! Sauerkraut and sauerkraut juice are also fantastic for acid reflux and heartburn - not just for quick relief but for long term relief as well. You can easily buy sauerkraut juice or make your own and drink a glass every morning when you first awake, along with keeping some close on hand in case of a GERD attack. You can read more on how to make sauerkraut juice here… Making Your Own Sauerkraut Juice. 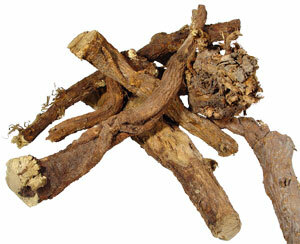 Licorice root is a simple and healthy natural remedy for heartburn and GERD in the throat that works extremely well. You can either buy licorice tablets or licorice tea. Both will give relief within about 30 minutes but the tablets do seem to work better and are much easier to take. Pepto-Bismol contains the trace mineral bismuth. It’s an effective treatment for upset stomach, diarrhea, indigestion, GERD and heartburn. Nobel Prize nominee, Dr. Joel Wallach, spoke about bismuth’s ability to kill the helicobacter pylori bacteria (when combined with the tetracycline antibiotic) on his hugely successful “Dead Doctors Don’t Lie” cassette tape back in the early nineties. So we suggest you always keep some Pepto-Bismol handy and take it if and when required. It can also be safely taken by children as long as you follow the directions on the bottle or packet. Chewing gum activates saliva and gets the gastric juices flowing. However, this is not a normal digestive process and is not healthy. Therefore, only use this remedy as a last resort and always go for the peppermint or sugarless gums. Well that ends this article on home remedies for GERD and heartburn. You really do have everything here you possibly need to prevent and permanently cure your acid reflux. We do strongly recommend that you put in the necessary effort to incorporate as many of the recommendations we’ve listed for short and long term relief - rather than just use one or two of the quick solutions and not bother with the rest. If you do just opt for the quick solutions, you will simply find your acid reflux and heartburn symptoms returning again and again and in much worse intensity levels. Remember this… acid reflux and heartburn are not normal bodily functions. If you allow these problems to continue you will eventually end up with severe (and even life threatening) health conditions further down the track. That’s why you must nip this problem in the bud now and nip it permanently! It’s also important to note here that you must not quit any GERD or heartburn medication you may currently be on “cold turkey”. This would be an extremely unwise and dangerous thing to do. Your body has now become accustomed to this medication so you will need to slowly wean yourself from it. But you can definitely do it! Work in conjunction with a naturopathic physician and give yourself 2-3 months of slow weaning to be completely free of your pharmaceuticals. So we suggest you jump on the "health band wagon" right now and get rid of that awful acid reflux and heartburn for good. We guarantee that once you do, you will never want to go back to your old unhealthy self again! Sources and references for this article include: healthimpactnews.com, howstuffworks.com, mnn.com, myhomeremedies.com, webmd.com, chriskresser.com, mercola.com, Wallach, Joel, Dead Doctors Don't Lie, Sawyer, Troy, How To Increase Your Energy, Cure Poor Health And Enjoy Living Longer!